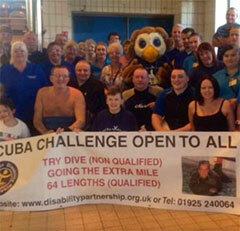 Hello and welcome to SCUBA News. We're pleased this month to launch a dive booking service, where you can book your dives directly from the website with no booking fees. More details below. We've also news of an underwater photo competition - with categories for novices through to experts - and diving holidays around the world to be won. Many of you are keen photographers so why not give it a go? Good luck. If you can help any of our letter writers, e-mail news@scubatravel.co.uk and we'll pass your message on. Can anyone recommend a good diving resort for a single traveller. I've been to Egypt several times, the Caribbean and Sipadan and would like to dive with Mantas - and also be able to meet fellow divers. Does anyone have any information on Chikarma Diving? I am having increasing issues in getting hold of them to obtain final details of my diving trip to Gozo. They don't answer emails, telephone calls and the recorded delivery letter I sent has not been delivered. If someone is aware of whether they do or do not exist can they contact me? My name is Neil and I write to you from the Environmental Research Institute Charlotteville, Tobago. We are a non-profit organisation operating in northeast Tobago, with access to the best of the region's dive sites. We work with the local communities on conservation research programmes and also operate a small dive centre alongside, offering a highly personalised dive service to small groups of environmentally conscientious divers. As the centre for Reef Check Trinidad and Tobago, and the only operator of Reef Check EcoExpeditions in the Caribbean, we are especially focused on providing divers with the opportunity to learn more about the ocean environment and even get involved in our work programme. 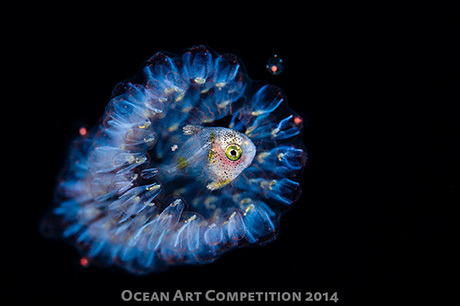 The Underwater Photography Guide is now accepting entries for the 5th annual Ocean Art competition. Prizes worth over $75000 are on offer in 15 categories giving underwater photographers of all levels a chance to win. For the less experienced photographers there are novice, compact camera and mirror-less camera categories. Then there are the wide-angle, macro, marine life portraits and marine life behaviour. 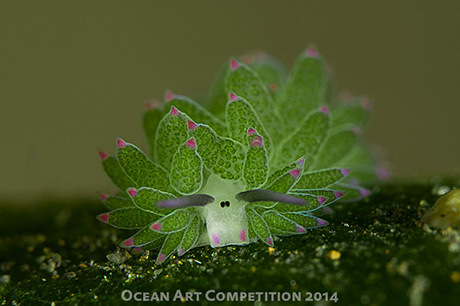 More unusually, this competition also features categories of supermacro, cold or temperate water and nudibranchs. Winners from each category will be able to choose which resort, liveaboard or gear prizes they would most like to receive, making it more likely that winners will be able to win something they really covet. The prizes include liveaboards to Raja Ampat, the Solomon Islands and Fiji; diving resort packages at Papua New Guinea, Bali, Philippines, Roatan, Palau and elsewhere; and gift vouchers for photographic equipment. Judges include world-renowned underwater photographers Tony Wu, Martin Edge, Marty Snyderman and Scott Gietler. Martin Edge is the author of The Underwater Photographer, one of the most useful books on underwater photography ever published. Marty Snyderman is an Emmy winner with work appearing in top publications like National Geographic. Tony Wu is the author of Silent Symphony whilst Scott Gietler is the owner the Underwater Photography Guide. Photos must be submitted before the deadline on 24 November 2015. The British Sub-Aqua Club (BSAC) is calling for an urgent re-think of Lifeboat Station closure plans in the popular diving area of St Abbs. Over 100 dive businesses have written to Australian Environment Minister Greg Hunt urging him to reinstate a network of marine sanctuaries off the coast. New book looks at how diving is taught and gives independent, objective advice for instructors and dive operators. It includes a chapter on "Which Training Agency? ", which is a question we are often asked. In a dramatic twist to the typical fishing tournament, this friendly competition between Belize, Guatemala, Honduras and Mexico rewards international players who catch less fish and protect more coral reefs. The countries are closing in on the goal of becoming the world's first ecoregion to achieve full protection of parrotfish, and results published this year show that their efforts are working. Scientists have found this year's Gulf of Mexico dead zone - an area of low to no oxygen that can kill fish and marine life - is, at 6,474 square miles, above average in size and larger than forecast. Overfishing and climate change appear to be the culprits. A treasure trove of biodiversity has been hiding several kilometres below the ocean surface. Only a handful of people have ever seen these enigmatic animals - until now. The Centre for Process Innovation has launches SeaGas, a £2.78m, three-year project to produce bio-methane from seaweed using anaerobic digestion. Boxfish shell could inspire new form of body armour, which researchers say could inspire new body protection. The boxfish's hexagonal scales fuse together to provide both strength and flexibility.